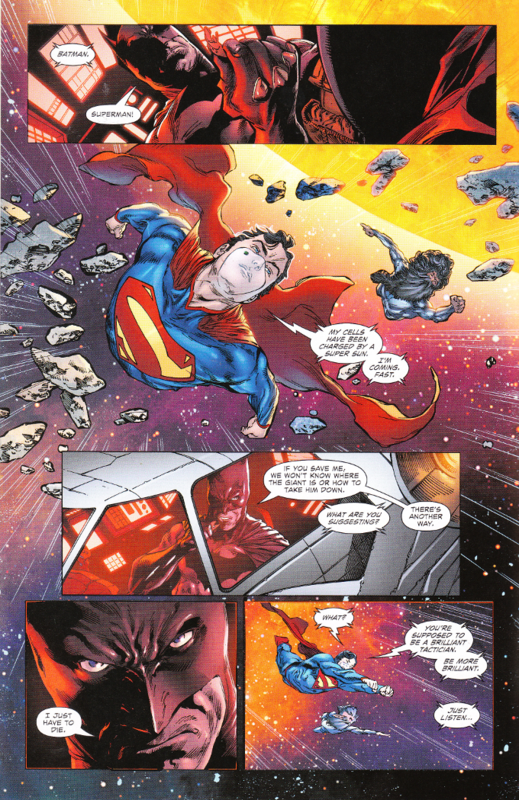 Superman is the captive of an alien mad scientist and Lobo's out for Batman's head. And that was before Batman stole his ship! Still, they're not called The World's Finest team for nothing but they may need some help from the universe's finest heroes to get out of this one! Tom Taylor's script for this issue is a wonderful throwback to the classic days of DC Comics team-ups, with stunning twists and a healthy dose of weird science. After seeing so many stories where he pitted Superman and Batman against each other, it's a real treat to see Taylor perfectly capturing Clark and Bruce as allies rather than enemies. 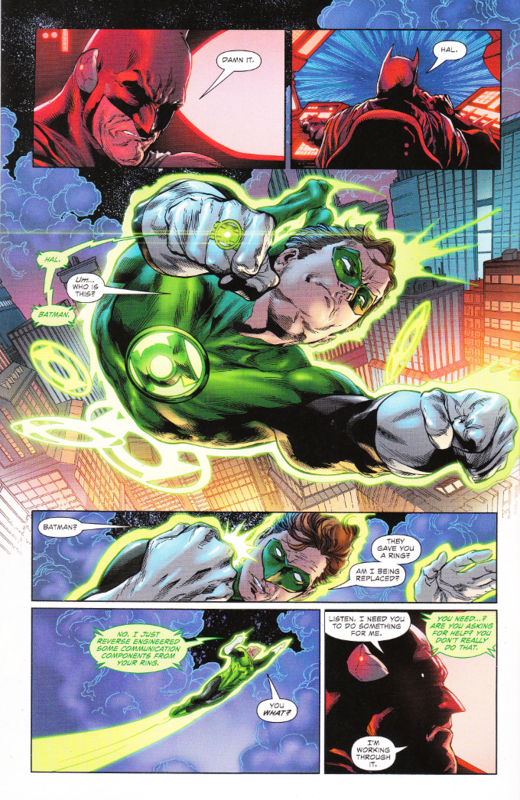 And the cameo by the Green Lantern Corps is just the icing on the cake! The artwork for this issue is largely excellent. This is the best work I've ever seen from Robson Rocha and the inks by Jay Leisten are accurately applied. There's a flew glitches in the coloring by Blond (note the unusually pale Superman in the final panel of the above page) but these moments are thankfully few and far between.